Led by the red-hot duo of Tommy Fleetwood and Franky Molinari (4-0), the Europeans took five of the eight points available in the Saturday sessions at the Ryder Cup, and will take a 10-6 lead into Sunday’s single matches. 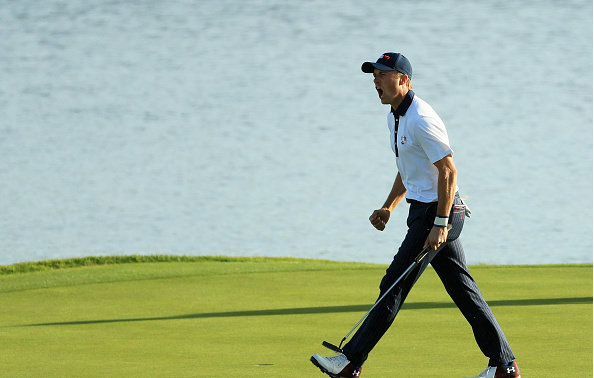 Jordan Spieth and Justin Thomas, however, continued to shine, and claimed two more victories on Saturday, giving the young superstars a full half (3) of the Americans’ six points. “All that he and I can do is go out,” said Spieth when asked about all the blue on the scoreboard, following his morning match. “We’ve done a great job of not really looking at boards, focusing on anything else. We’ve done a really good job of staying patient and with ourselves. We’ve got to do the same thing. The young duo will be paired together in the afternoon fourball matches against Ian Poulter and Rory McIlroy. 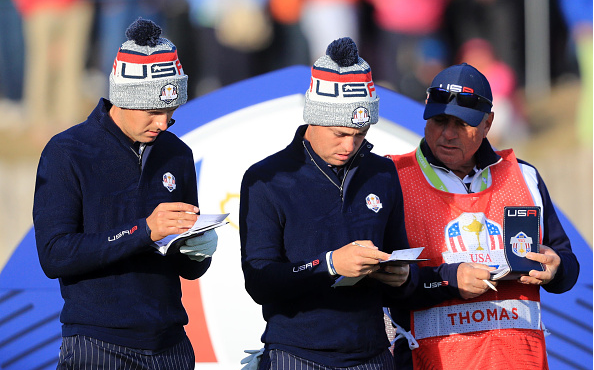 Thomas feels the key to success for the two Americans is their familiarity with one another. “We’re so comfortable around each other, on and off the golf course, we talked about this for so long and to be out here and do it at the biggest stage, there’s nothing better than getting a point for your team,” said Thomas. 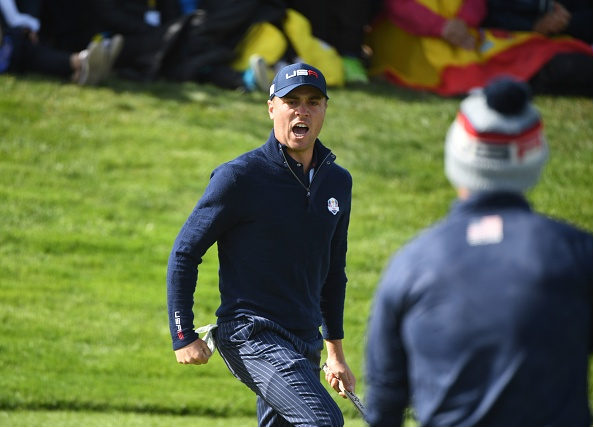 In the morning fourball sessions, Speith and Thomas won the only point for the Americans, defeating Ian Poulter and Jon Rahm, 2 & 1. The duo played against Poulter again in the afternoon foursome matches, with the Englishman this time teamed up with Rory McIlroy. Spieth and Thomas easily took out the European duo, 4 & 3, with Spieth pumping his chest ala Poulter following the winning putt on No. 15.